NSK is an industry leader in precision machine components inlcuding Ball Screws, Linear Guides, Monocarriers and Direct Drive Motors. Contact us today for assistance with sizing and ordering. 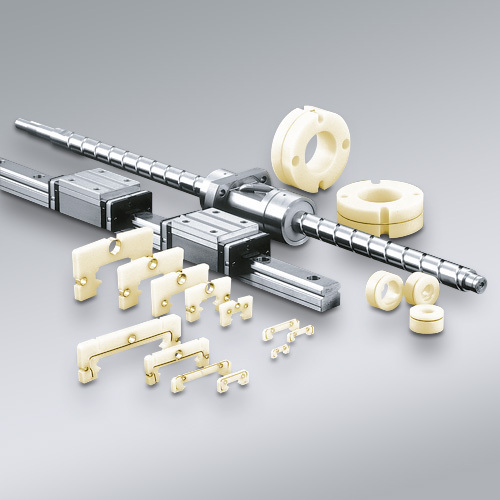 NSK Ball Screws were developed through cutting-edge tribology (friction control technology), and NSK manufactures the largest volume in the world with its outstanding production and quality control techniques. Quiet and compact, with unparalleled high-speed performance. Low-noise BSS Series Ball Screws are suitable for an extensive range of uses, from transportation equipment to machine tools. Upgraded version of the highly regarded HMC Series, featuring middle-deflector recirculation system that enables high-speed, low-noise operation. Nut cooling ball screw is also available. 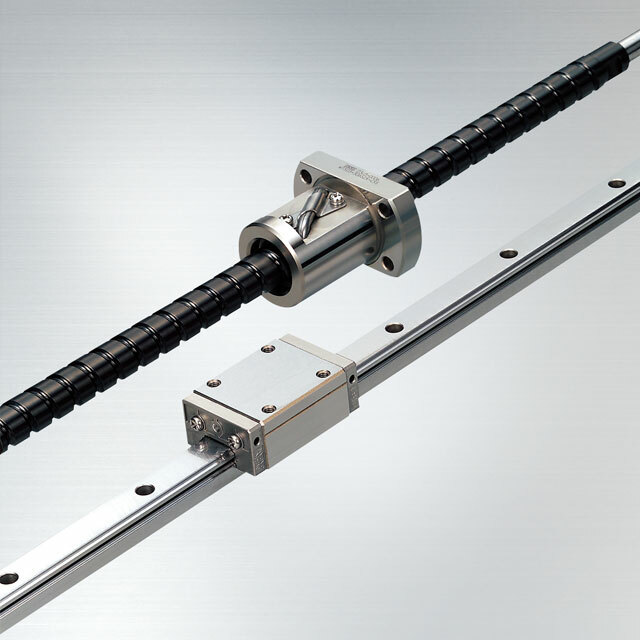 TW Series Ball Screws deliver the ideal functionality for twin-drive systems and easily realize the high rigidity, accuracy and responsiveness of twin-drive tables. Unified component shape facilitates short-term delivery; end-deflector recirculation system adopted for high-speed and low-noise operation. 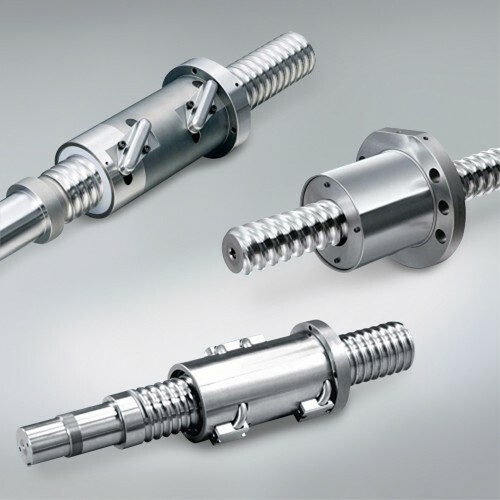 Easy-to-use ball screws for high-load applications. Wide variety of products suited for high-load drives. 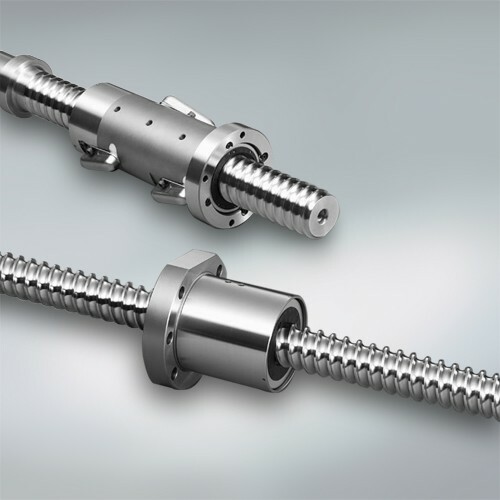 The grease retaining characteristics of ball screws have greatly improved owing to the A1 seal. The A1 seal helps to maintain a clean and healthy environment. NSK K1 lubrication unit ensures long-term, maintenance-free operation and the long operating life of components under tough lubrication environments; clean lubrication method exerts less impact on the environment. NSK's most advanced high-performance seals deliver more than four times longer service life under contaminated environments than conventional models. Standard stock series for immediate delivery of BSS Series high-speed, low-noise Ball Screws; next-generation compact Ball Screws offer quiet, high-speed operating performance. 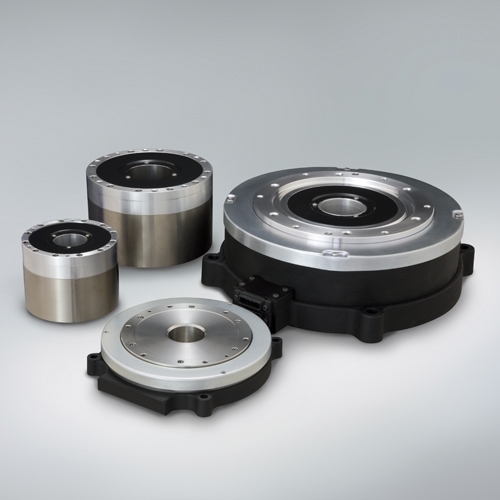 NSK offers an extensive product lineup high-load capability, and excellent dust-resistant performance to meet the needs of a variety of industries, such as machine tools, semiconductor manufacturing equipment, general industrial devices, and medical equipment. The most advanced Roller Guides, representing the culmination of NSK's analysis technology and tribology. With a complete lineup featuring high-load capacity and high rigidity, the RA Series meets the needs of a wide range of applications. 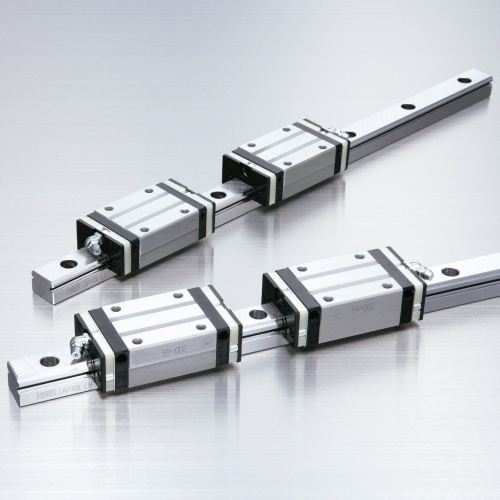 NSK's standard Linear Guide series, NH and NS series, attains a significant increase in durability, satisfies the requirements of every industry with its versatile performance and conforms to international standard dimensions. 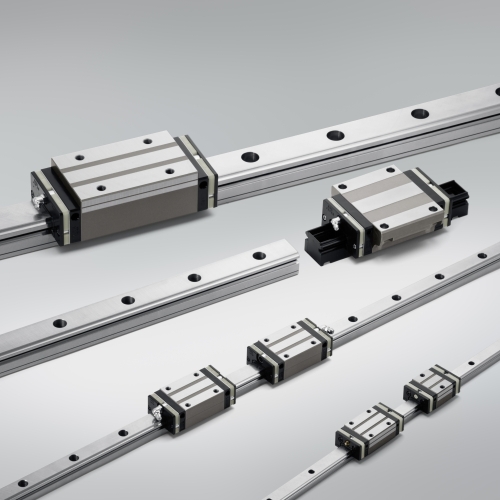 NSK's standard Linear Guide series statisfies the requirements of every industry with its versatile performance and conforms to international standard dimensions. 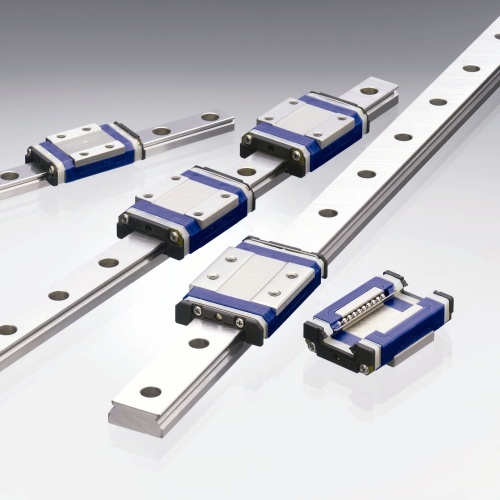 Light weight, compact and easy to use NSK miniature Linear Guides ensure smooth operation. NSK's most advanced high-performance seals deliver more than four times longer operating life under contaminated environments than conventional models. NSK K1 lubrication unit ensures long-term, maintenance-free operation as well as the long operating life of components under tough lubrication environments; clean lubrication method exerts less impact on the environment. Further evolved DFO thin-film lubrication technology ensures significantly longer operating life and lower outgassing in vacuum environments. 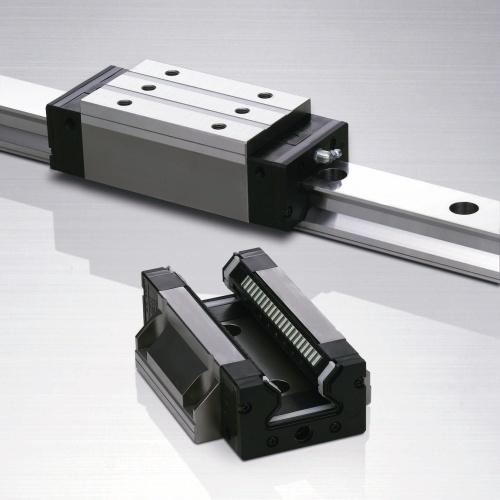 A light-weight, single-axls actuator that embodies the technology NSK has accumulated over the years, with an all-in-one structure integrating a Ball Screw, Linear Guide, and support bearing. 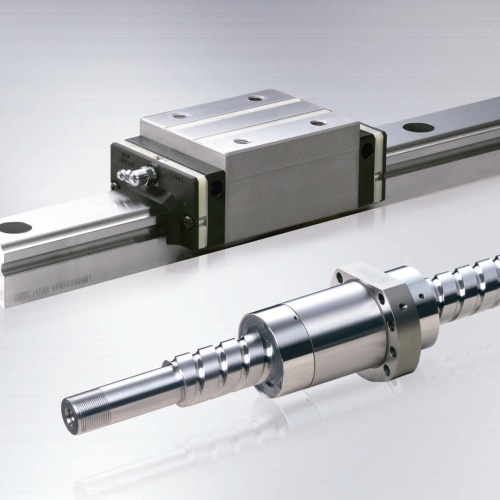 NSK Monocarriers, which NSK originally developed ahead of any other manufacturer, offer long-life, maintenance-free operation and are suitable for a wide range of applications. Monocarriers for clean environments are also available. Light weight, compact, and high accuracy MCM Series is suitable for small-sized transporting equipment. 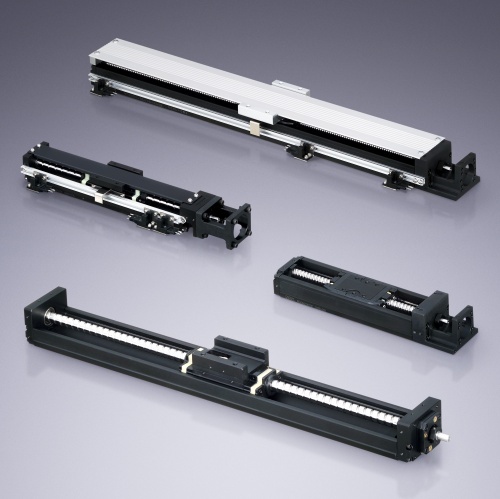 MCH Series features a rail with high rigidity allowing it to be used as a beam member. 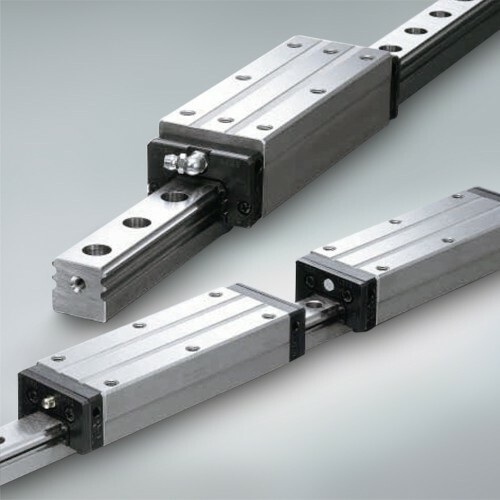 Single-axis actuator with super high-load capacity by installing rollers as the rolling elements. Toughcarrier and Monocarrier MCH Series are interchangeable. 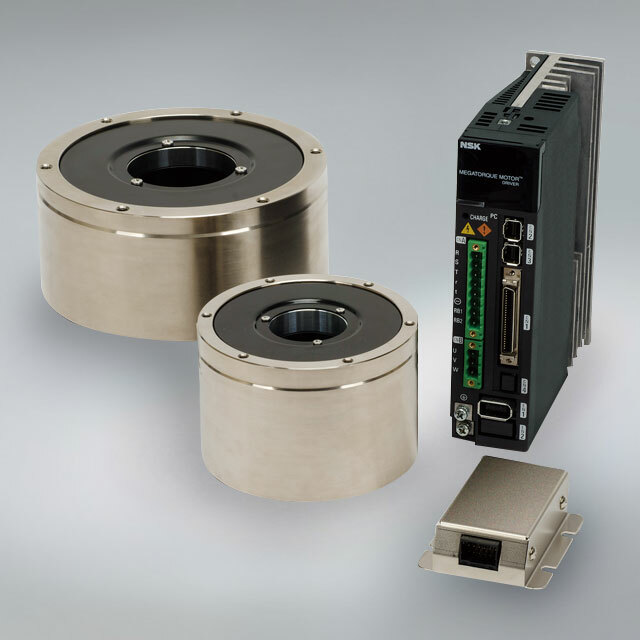 With their high accuracy, high torque, light weight, and compact size, NSK direct drive motors improve productivity and contribute to higher accuracy, lighter weight, and greater compactness of various devices, such as high-speed robot arms. 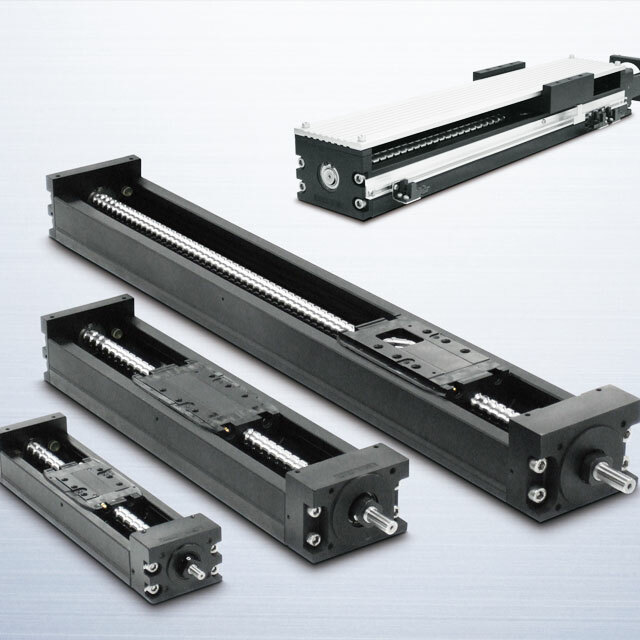 Advanced Megatorque Motors with high-speed, high-resolution capabilities. New product to contribute to reducing cost and improving productivity of machines with its incredible usability and excellent cost performance. Newly developed, low profile Megatorque Motors that inherit the performance advantages of the PS Series. 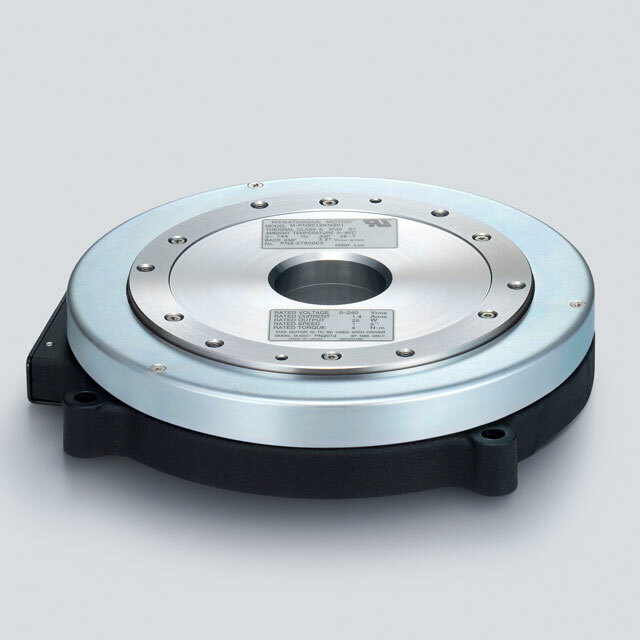 Brake equipped series and high environmental resistance series are also available.